Your read that headline, and you better believe it, cause it's (hopefully) coming to your internetz sometime in April! If it isn't already online! 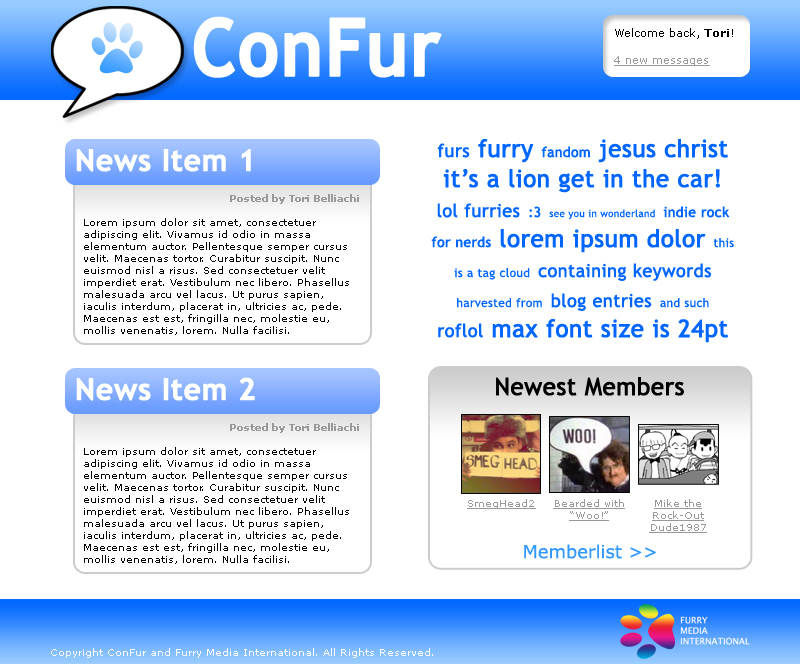 ConFur, quickspeak for "Connected Furries" and the very apt word for such classic English as "discuss" and "bring together", is hoping ot be the first site of it's kind. A social network aimed purely at the furry fandom. There is no base. The whole site is being coded from scratch by lead coder and general web genie, Macenzie Wolf. Can such a thing ever succeed? Send your views to furteantimes@gmail.com and you might just get printed!